6 Round Pink Tourmaline and 5 Round Diamond set using Prong Setting. 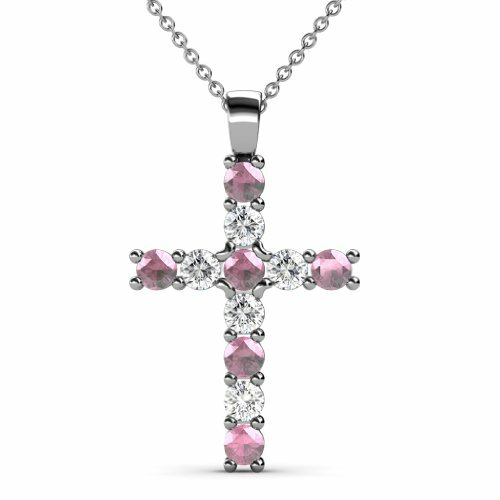 SI2-I1-Clarity, G-H-Color Diamond & SI1-SI2-Clarity,Pink-Color Pink Tourmaline. Gemstones may have been Treated to Improve their Appearance. Product is Smaller than what Appears in the Photo. Photo Enlarged to Show Details.